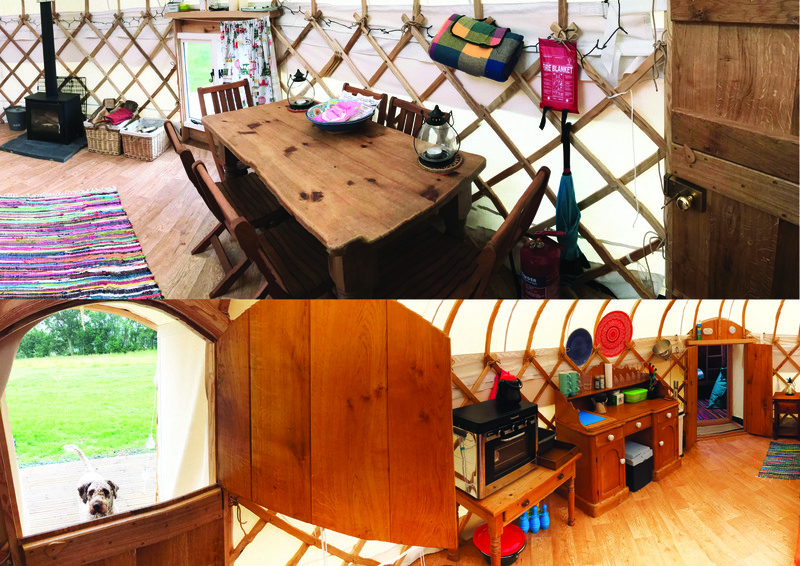 Each pitch is set in its own private area of several acres giving you the space to run wild. 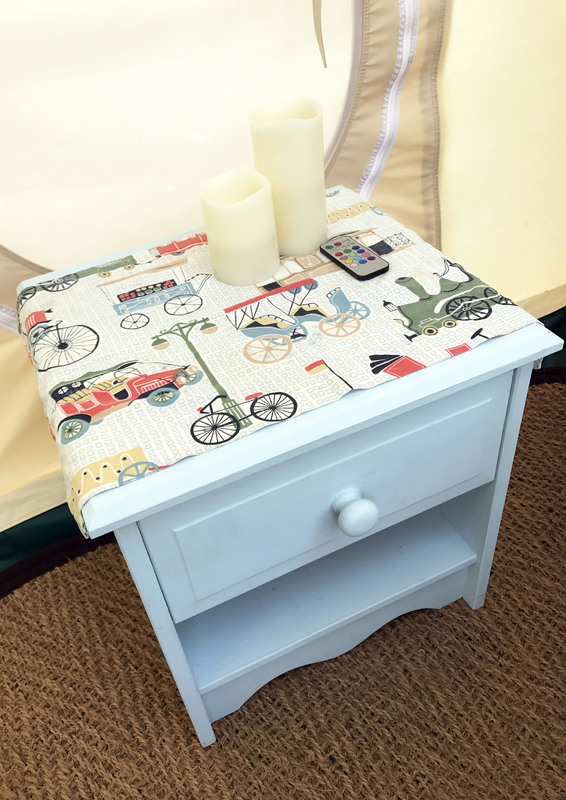 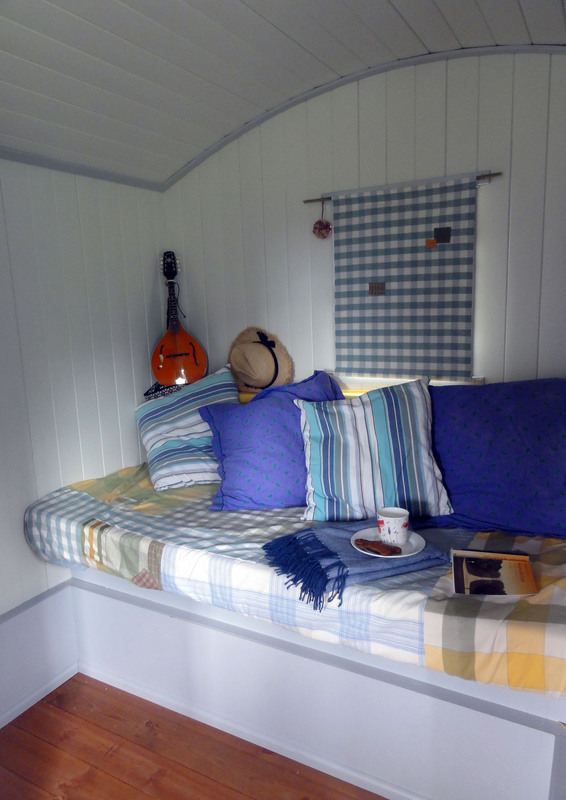 Comfortable furnishings including tables, seating, beanbags, rugs, cushions, curtains etc. 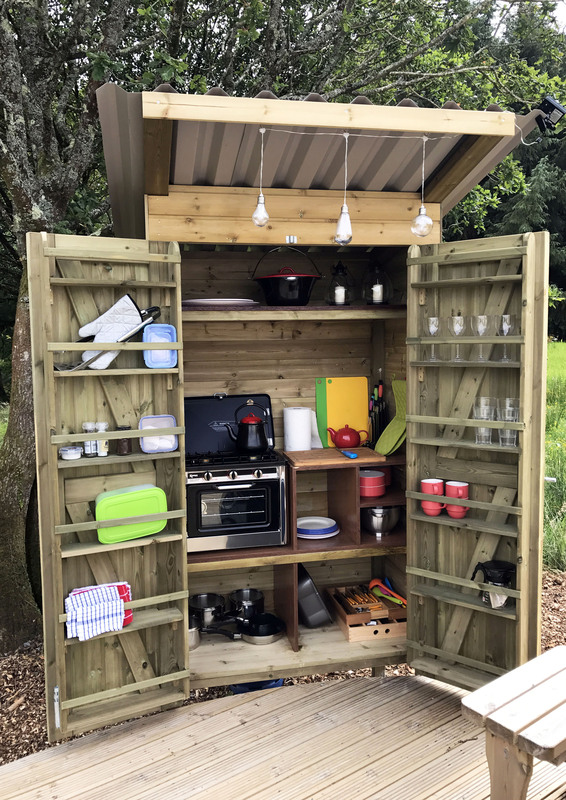 Cooking utensils, pans, crockery and cutlery. 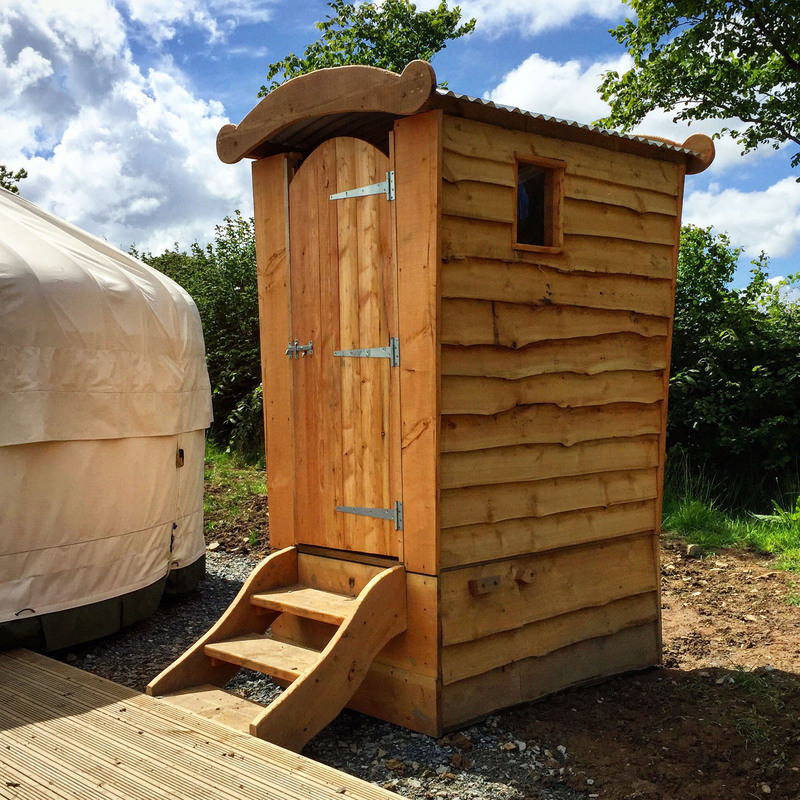 Our beautiful 20ft Mongolian yurt is attached by a little hobbit door to the 10ft sleeping yurt. 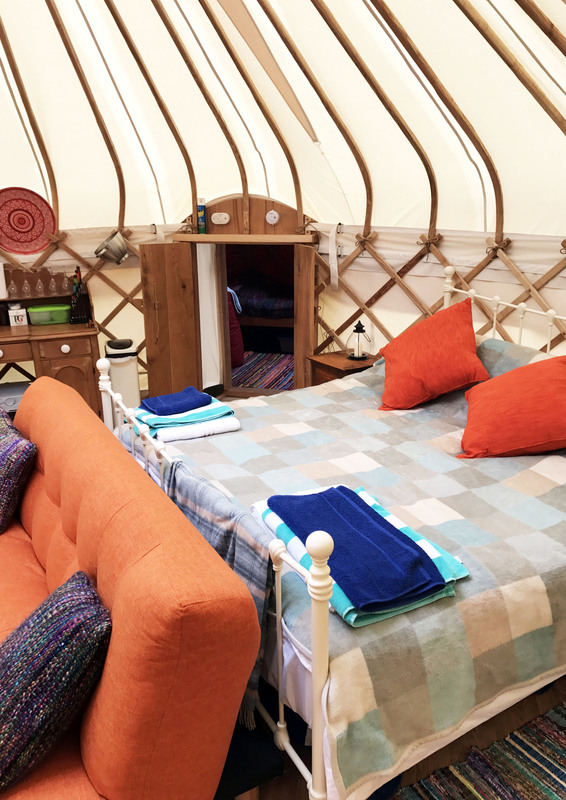 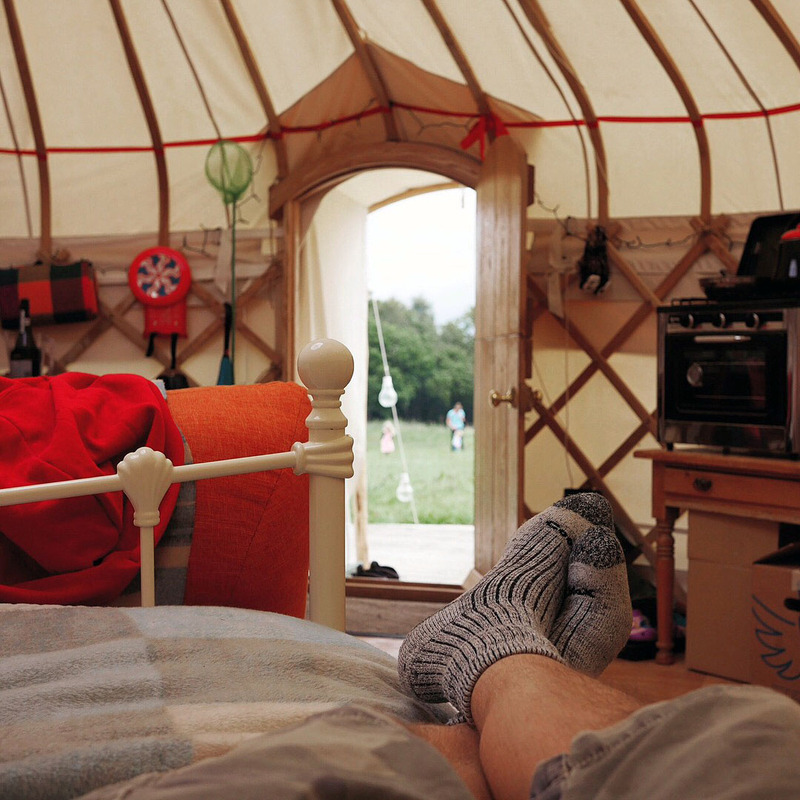 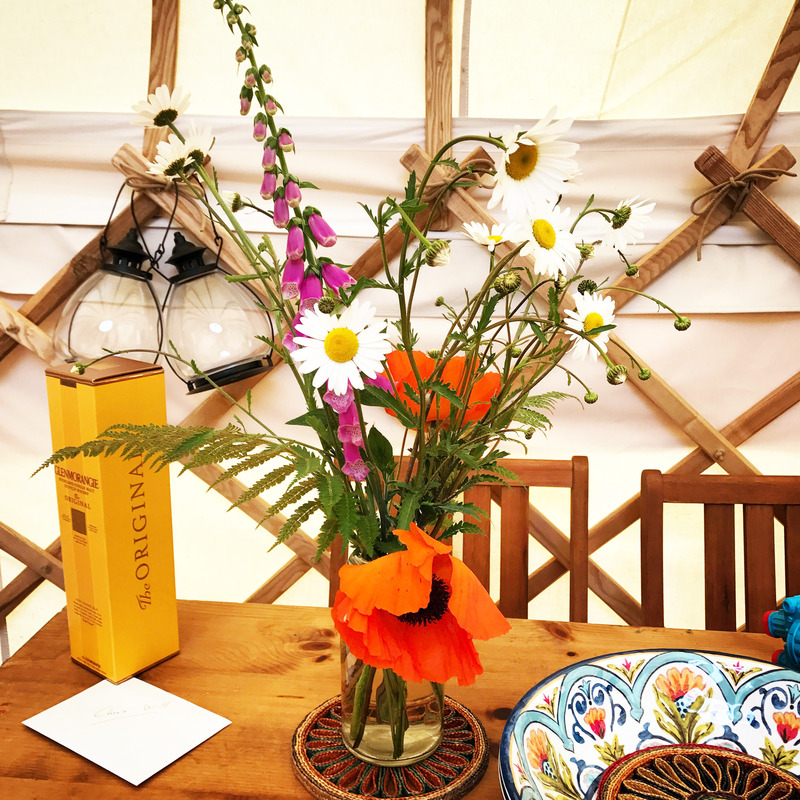 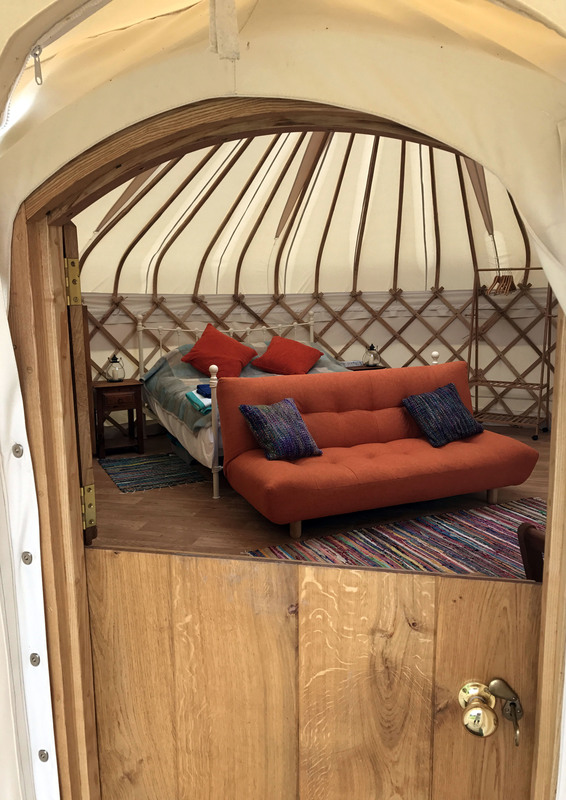 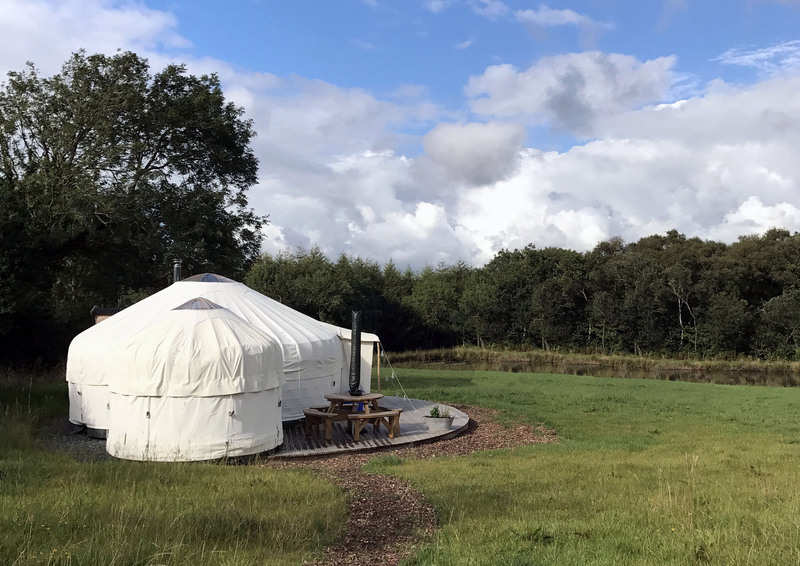 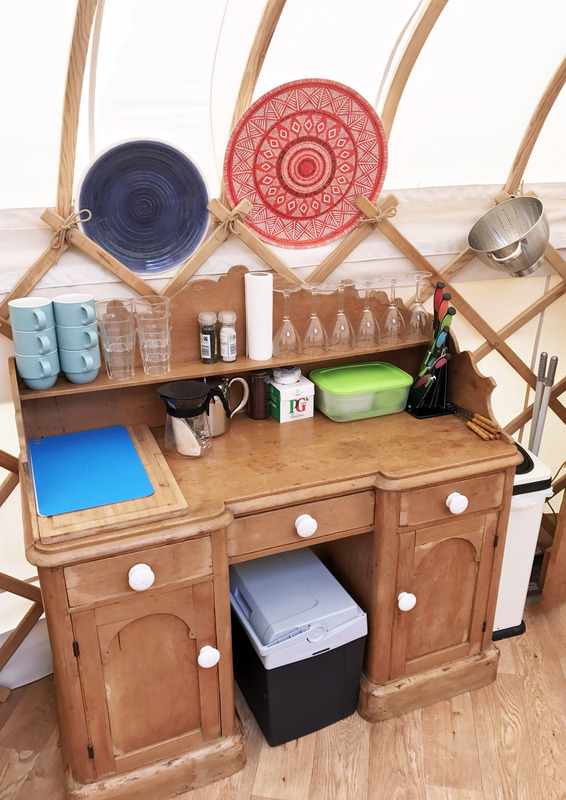 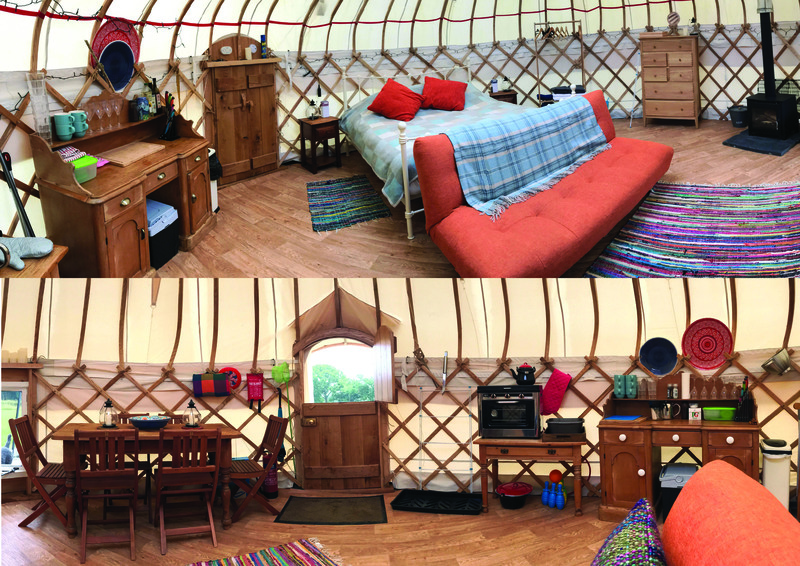 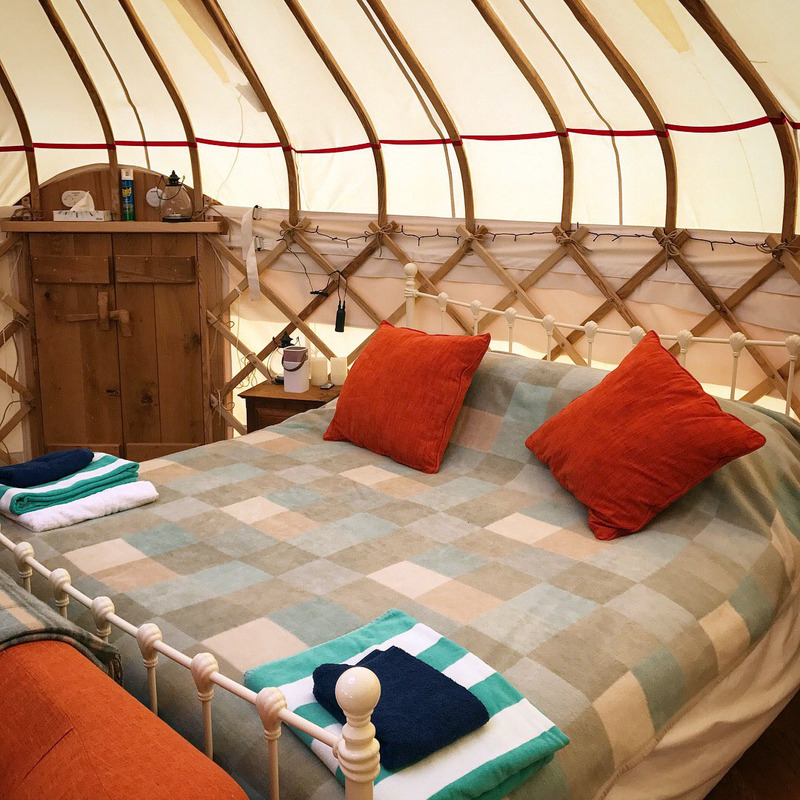 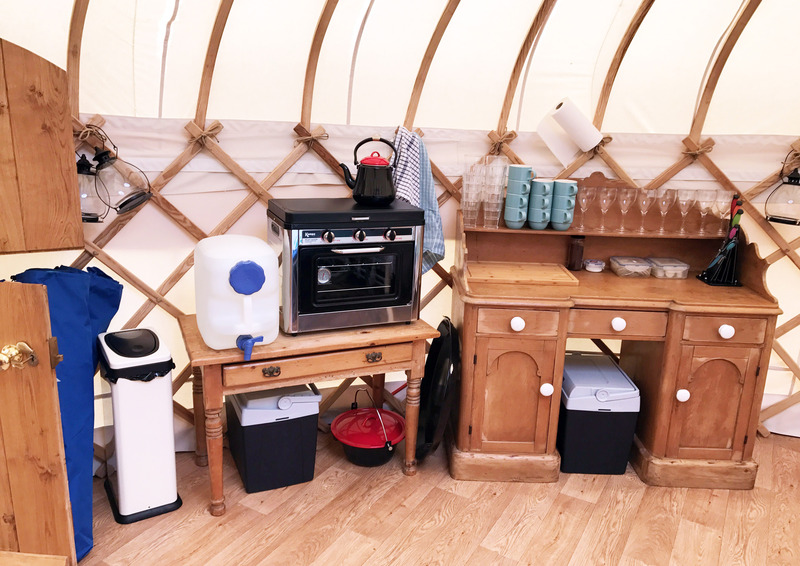 Set in its own 4 acre field, beside the swimming lake and with immediate access to our private woodland, the yurt is our premier pitch. 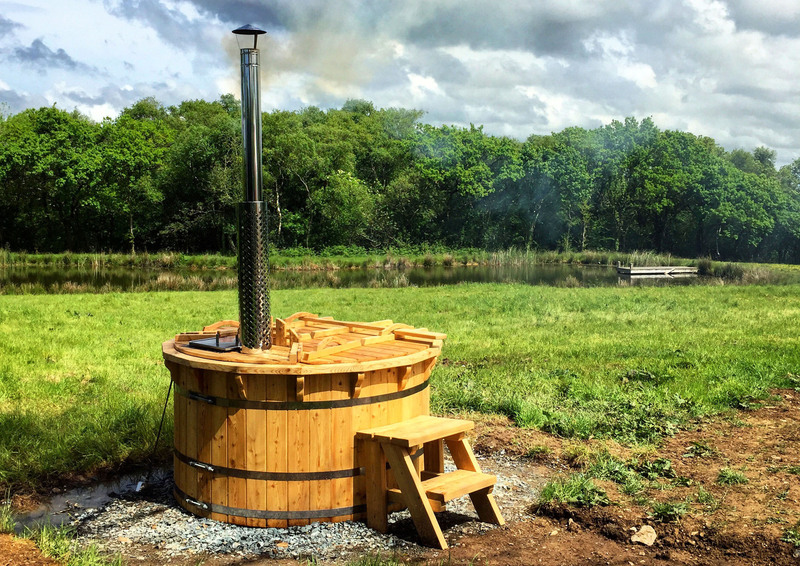 It sits on a generous deck, with outdoor seating and firepit. 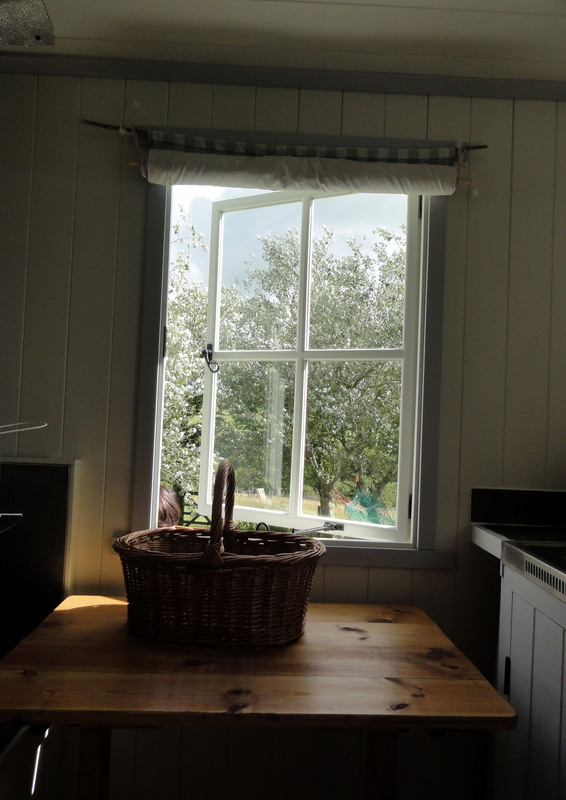 Close beside the deck is the private composting loo and wood fired hot tub. 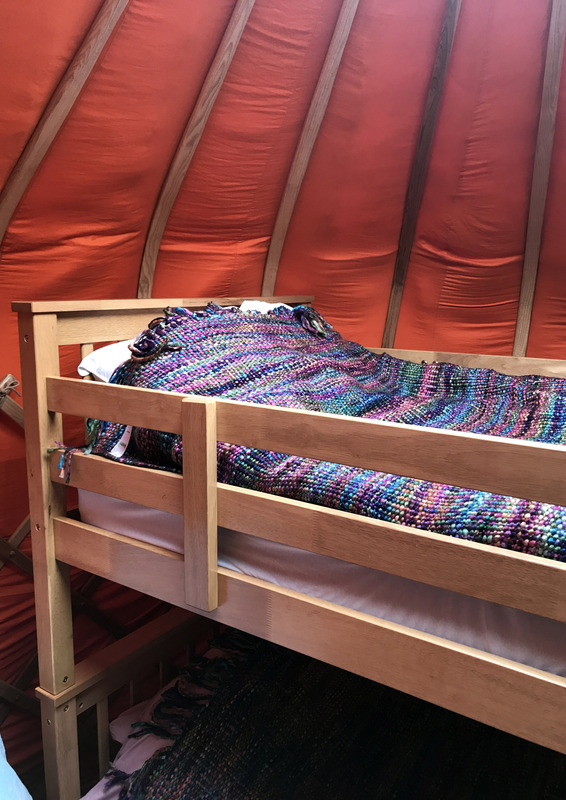 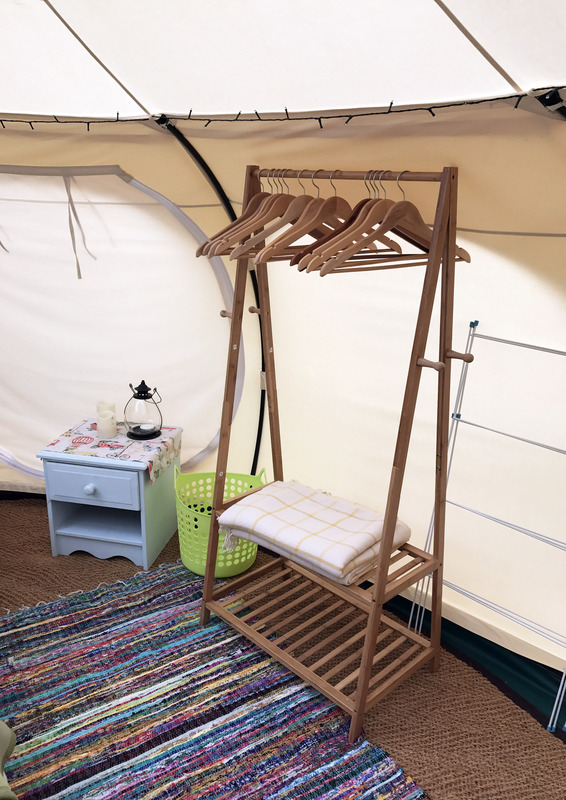 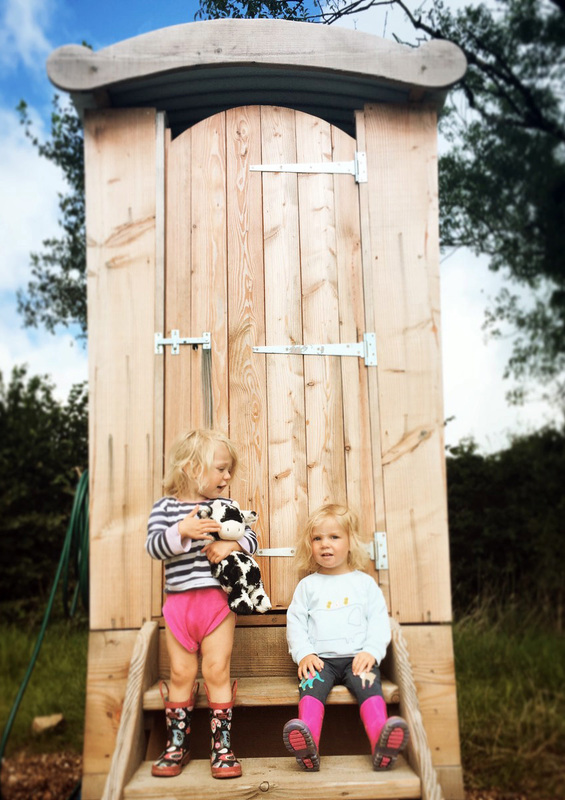 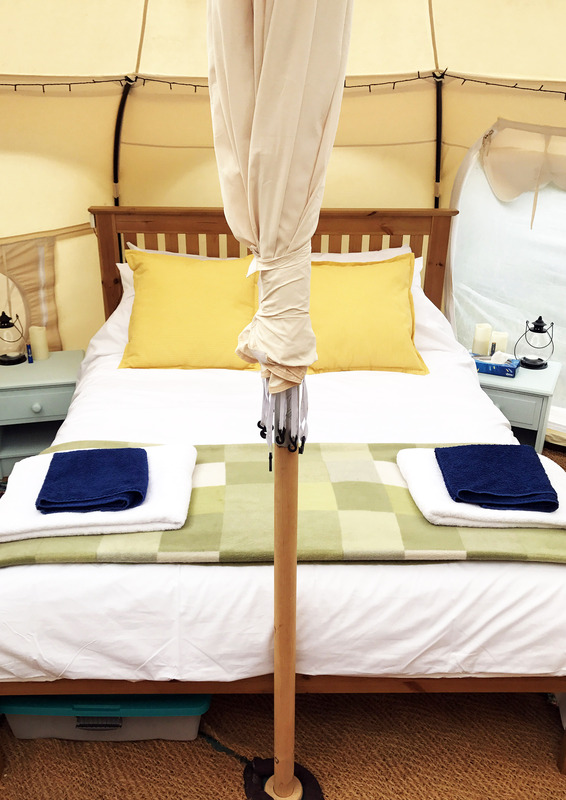 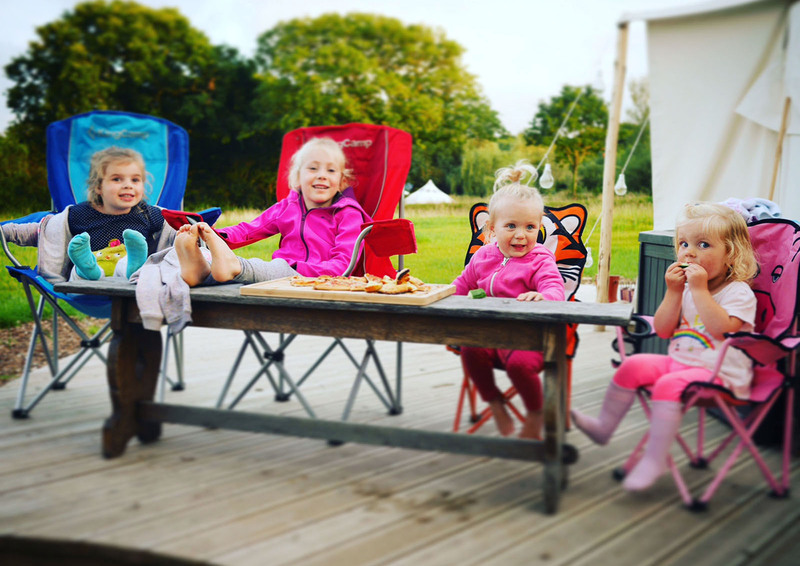 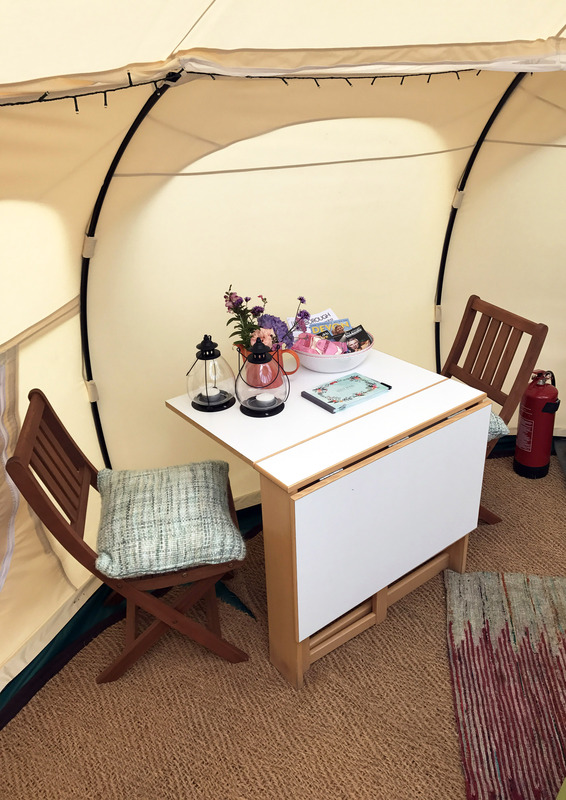 Our cosy, tucked away Stargazer Belle tent is set up for two sharing a double bed as standard but can easily be reconfigured for two adults + 1 x camp-bed + 1 x baby / toddler cot. 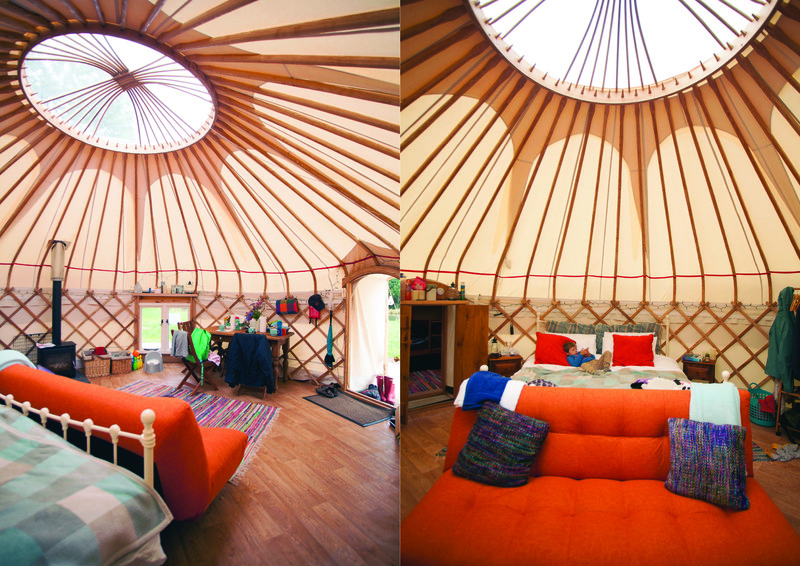 It has the delightful bonus of clear panels in the roof – hence the star gazer name. 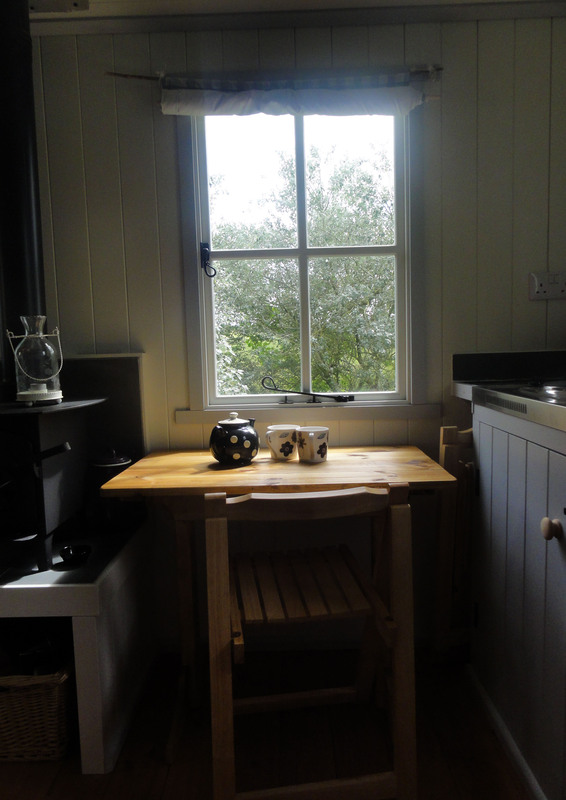 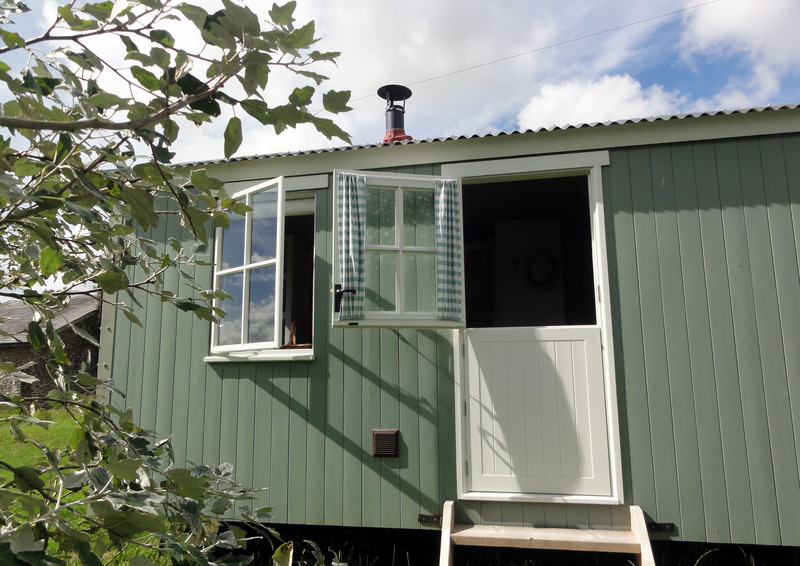 Set on its own deck, tucked down beside the nature pond, it boasts distant views of Exmoor framed by hedgerow oaks. 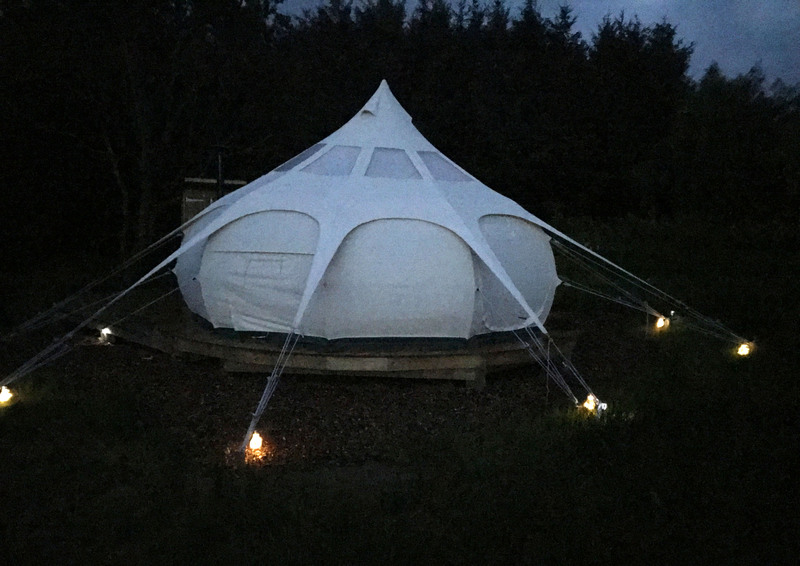 * There is no electricity to the Stargazer, so all lights are either battery or solar powered. 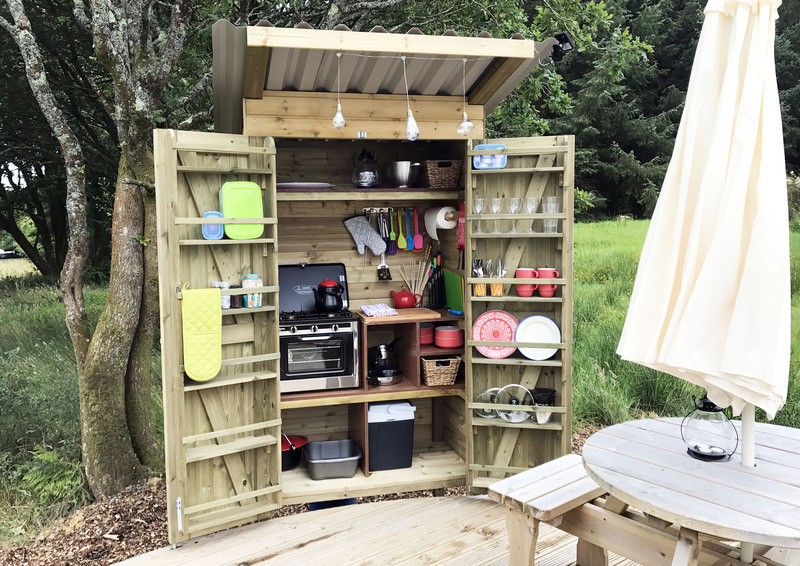 There is a battery re-charging bank in the wash block. 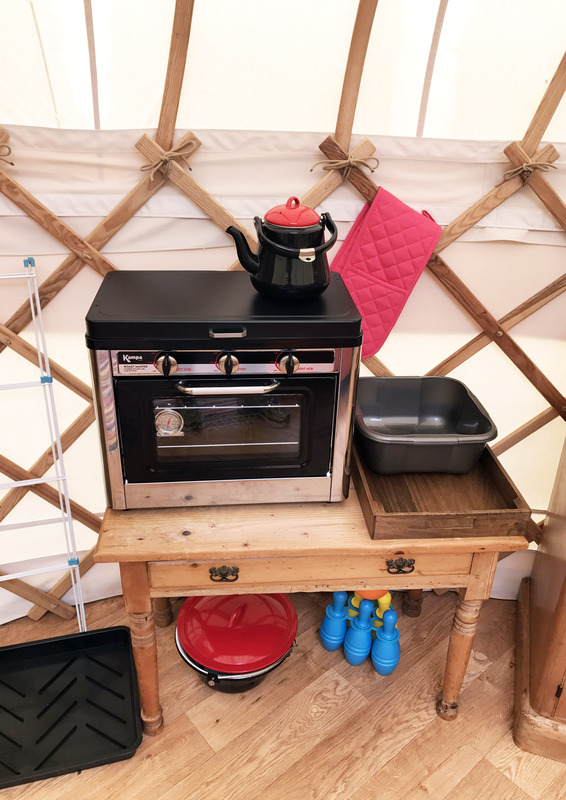 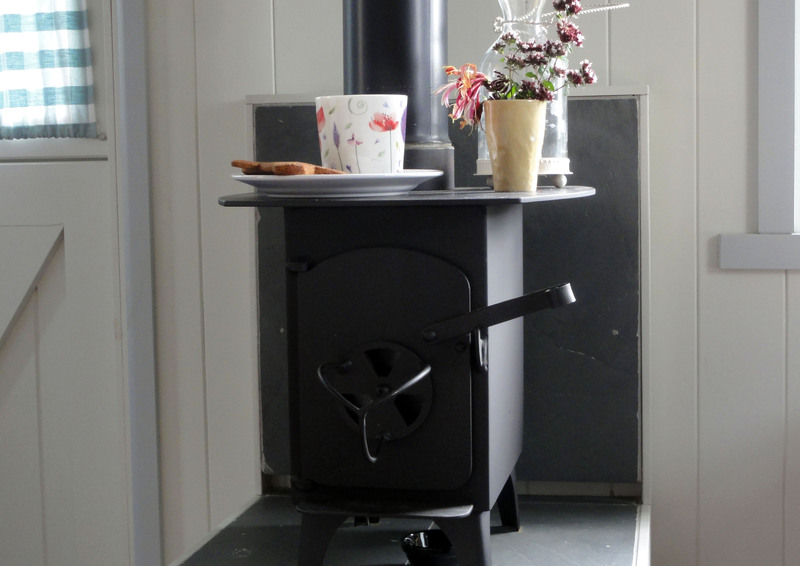 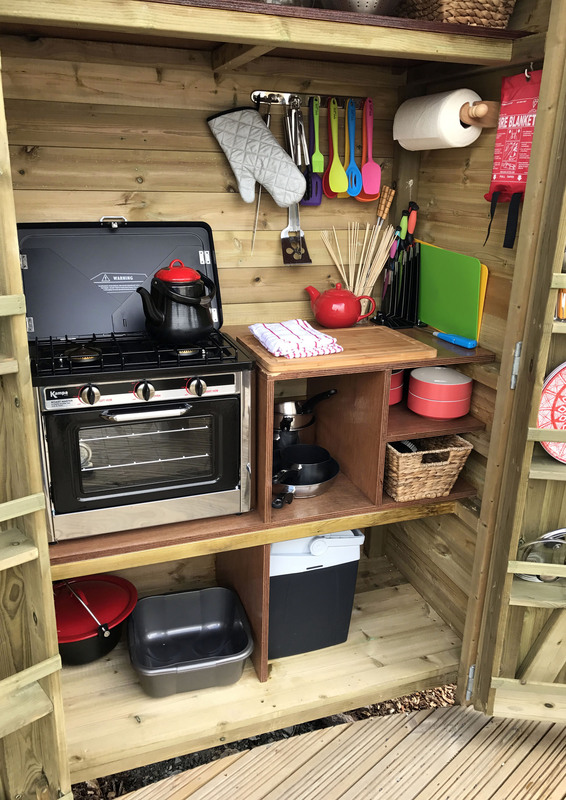 *The outdoor kitchenette is designed like a large cupboard – when opened, it allows you to cook on the little gas powered hob / oven. 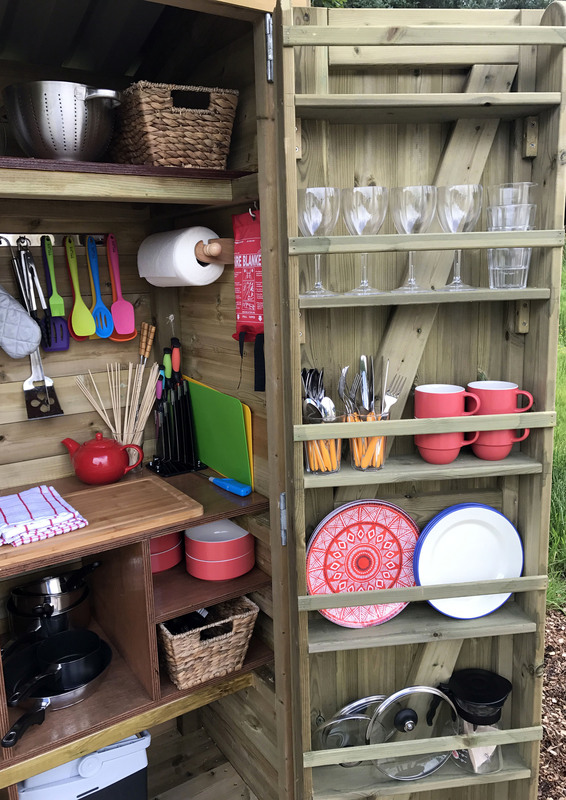 All the necessary kitchen utensils, pots etc. 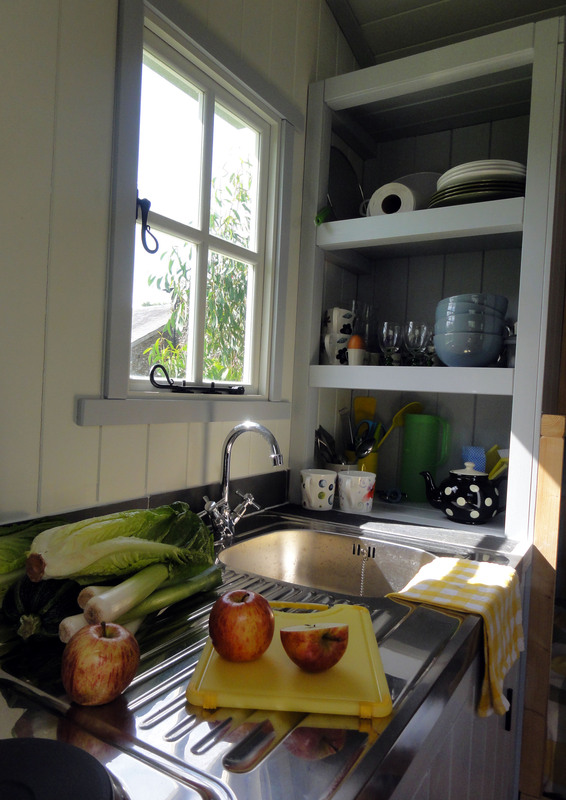 are stored in the cupboard with the cooker. 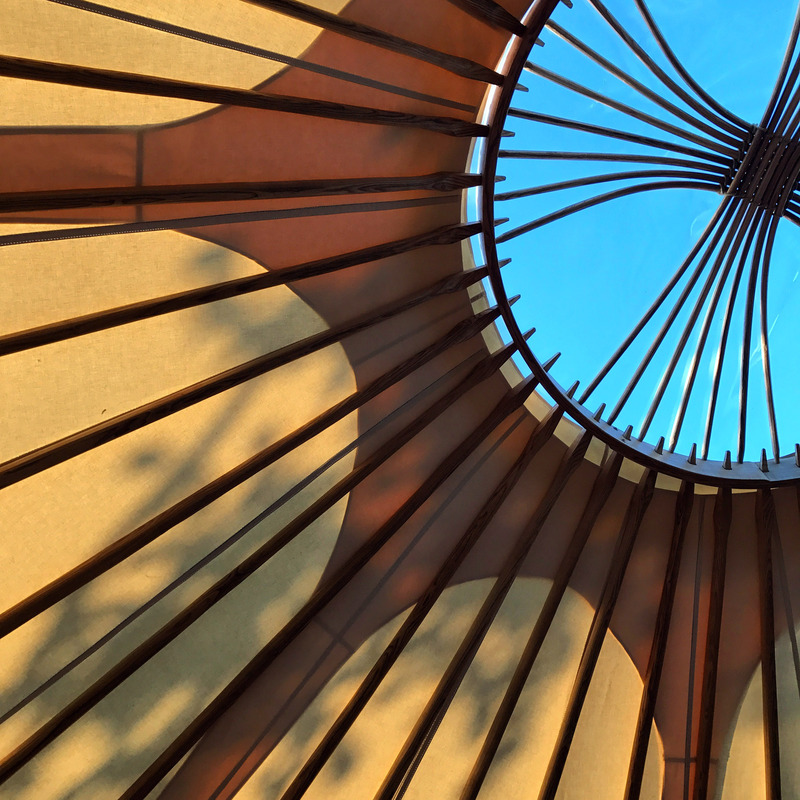 There is a large umbrella to give you cover if it is raining! 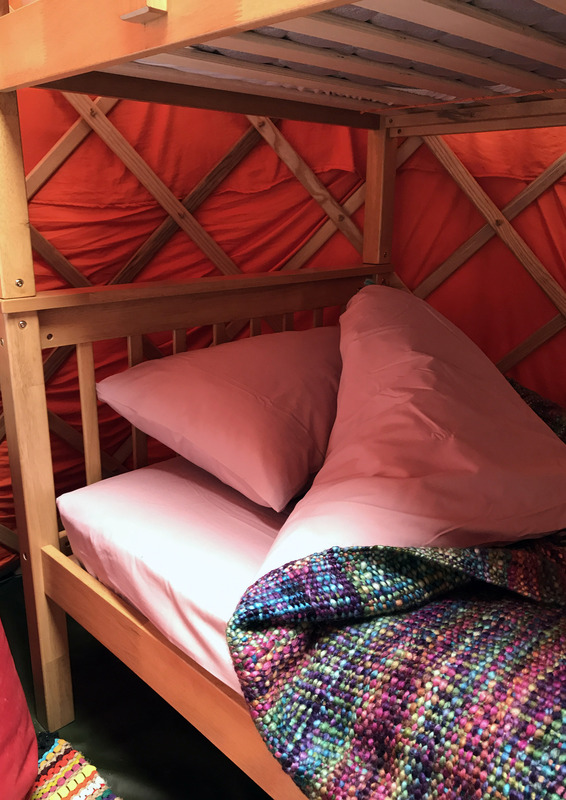 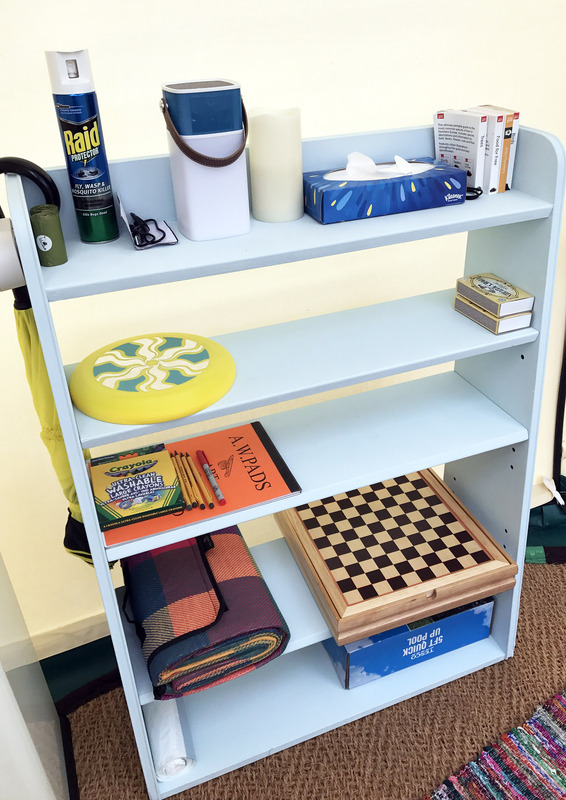 There is not much floor space so it would be a squeeze to set up the baby / toddler cot, but please don’t hesitate to enquire if it’s possible and we can see what we can do. 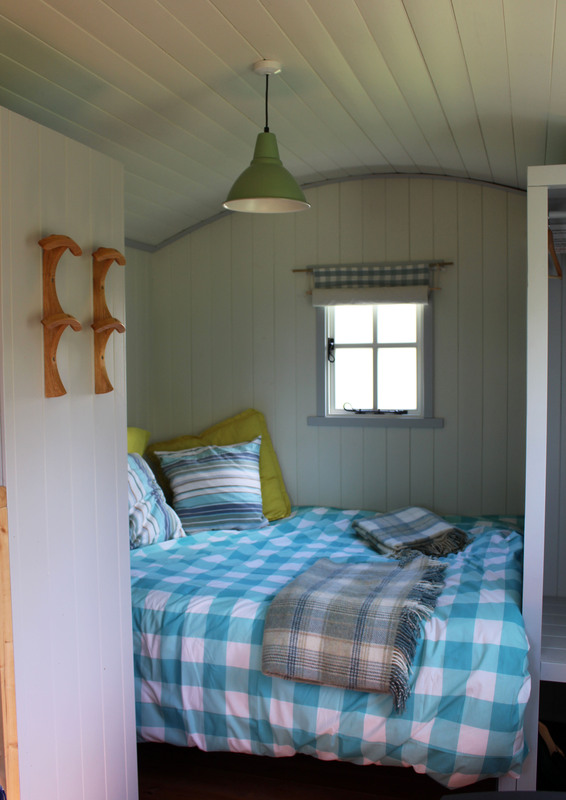 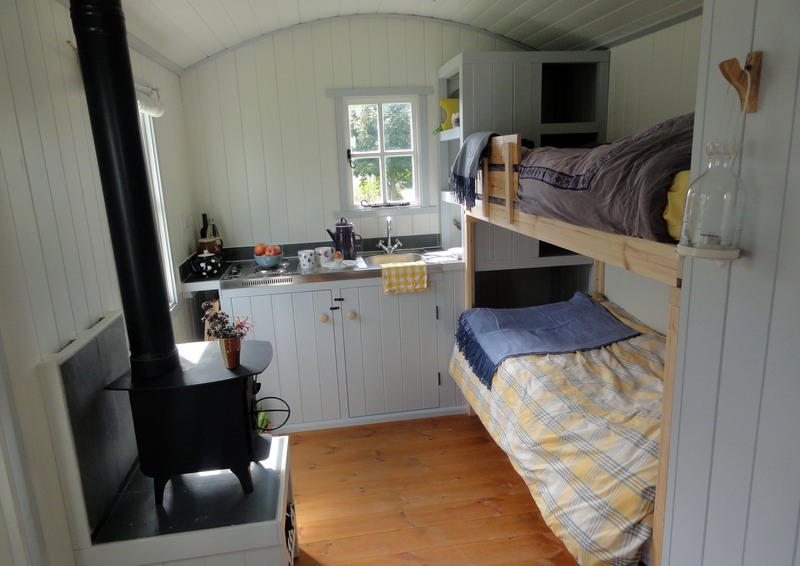 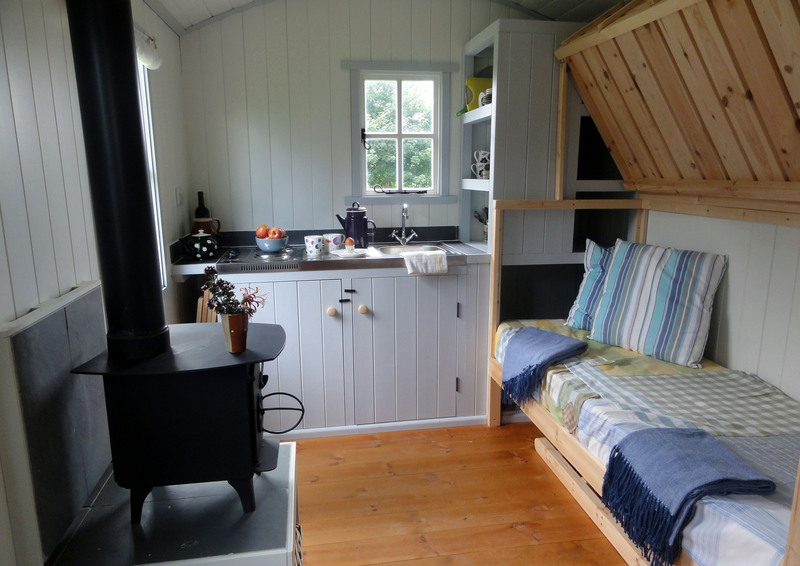 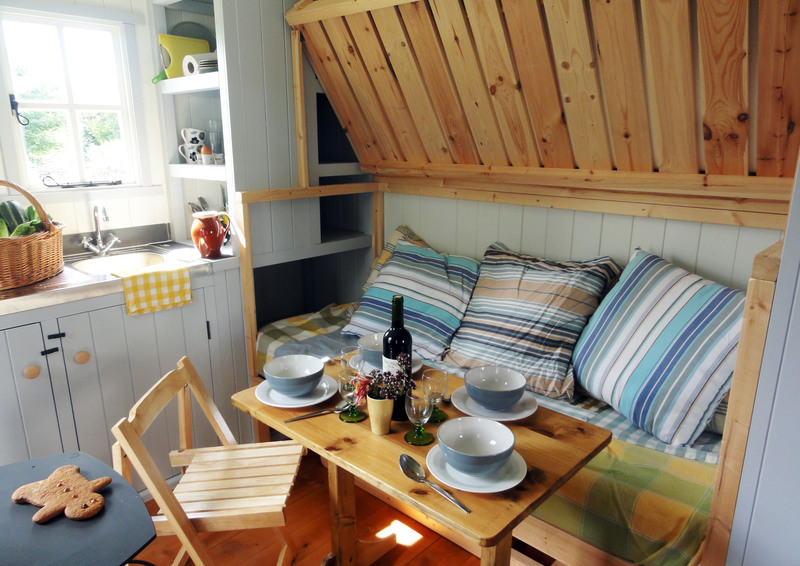 Our charming 16ft x 8ft Shepherds hut has a double bed and two convertible singles, which double up as seating during the day. 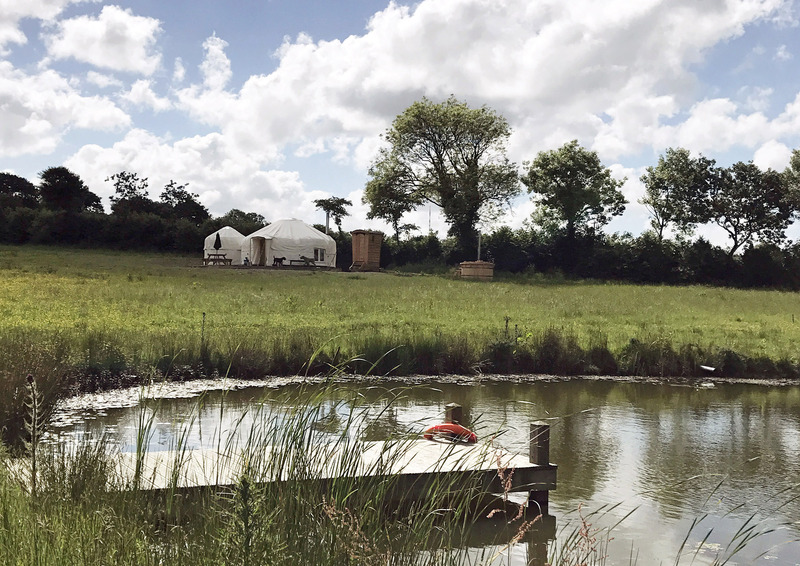 It is set in its own, self contained four acre field, on the highest part of the farm with stunning views across to Exmoor in the distance. 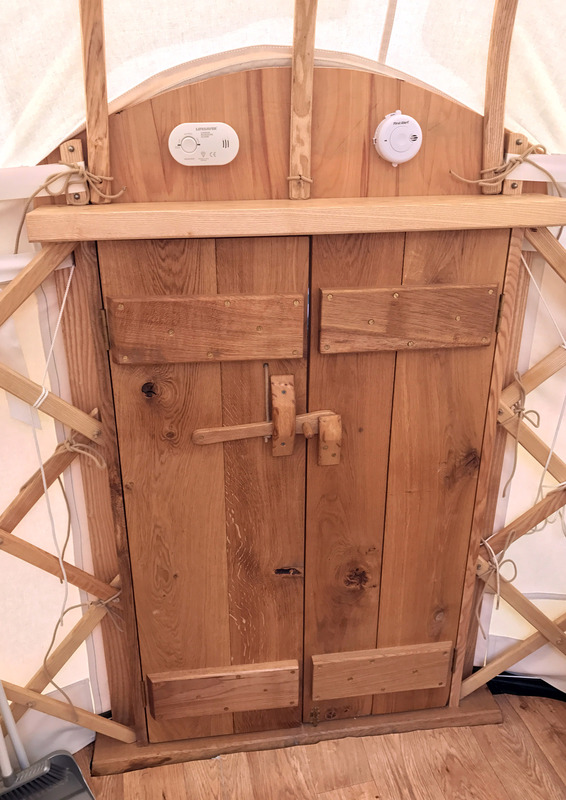 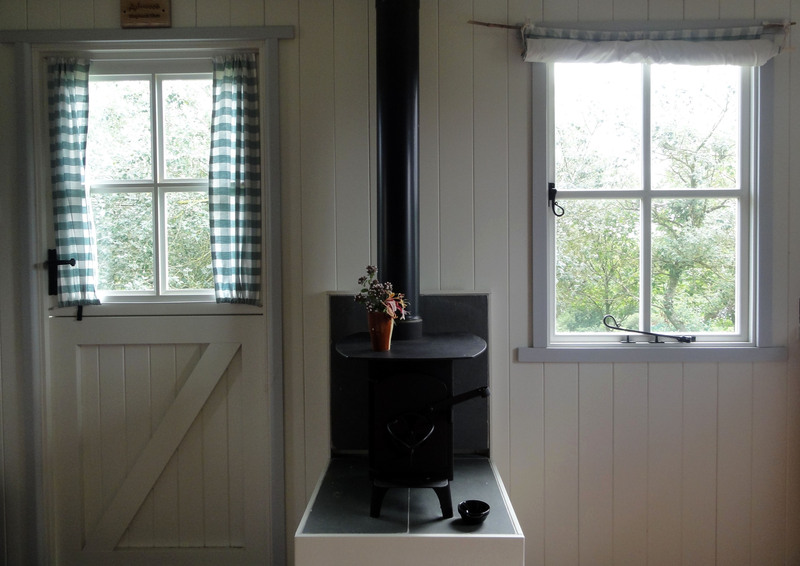 The hut is new to Luckaborough Glamping for our 2018 season and is the only one of our pitches that is hooked up to electricity. 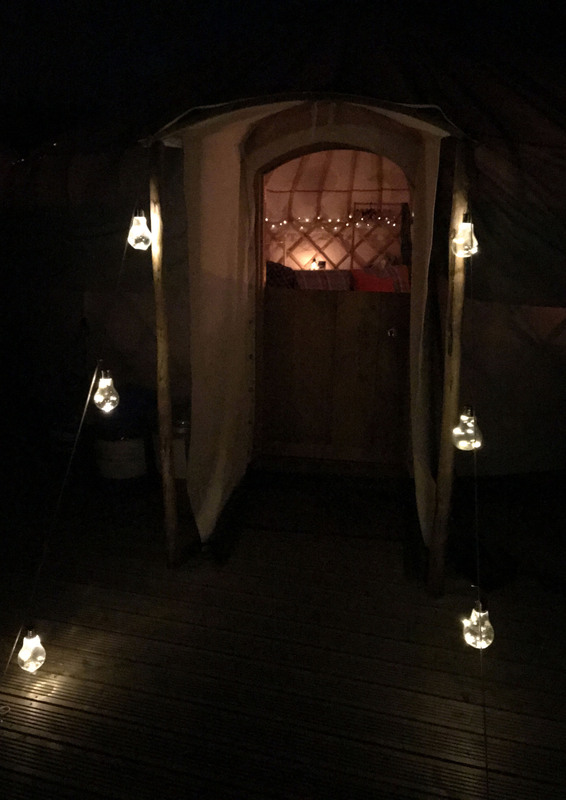 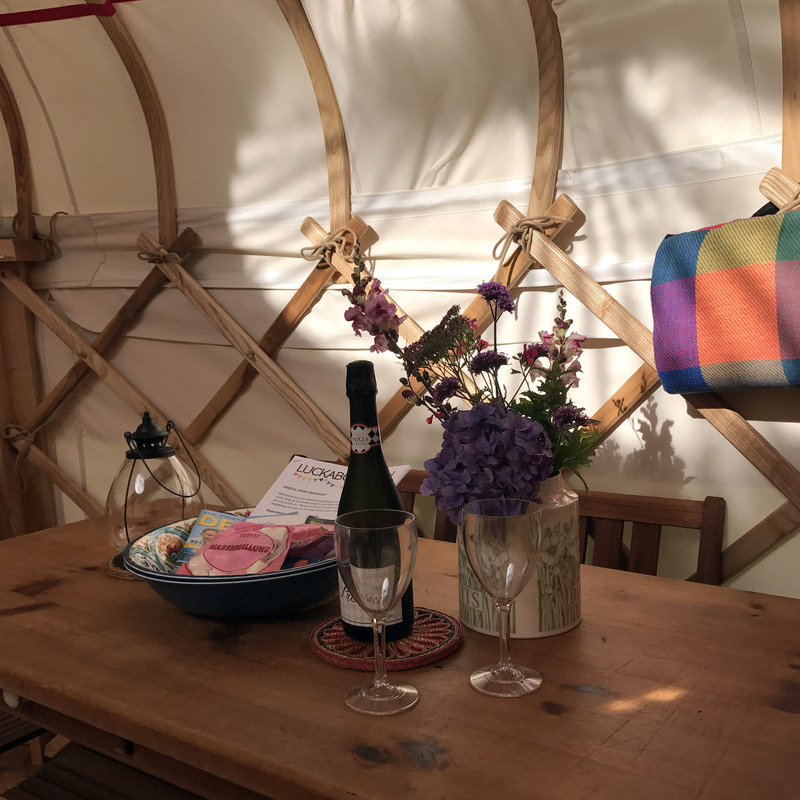 With a wood burning stove for warmth, a fabulous deck for outdoor dining and its own private wood fired hot tub, this is a romantic hideaway for two, or a cosy den for 2 x adults and 2 x kids. 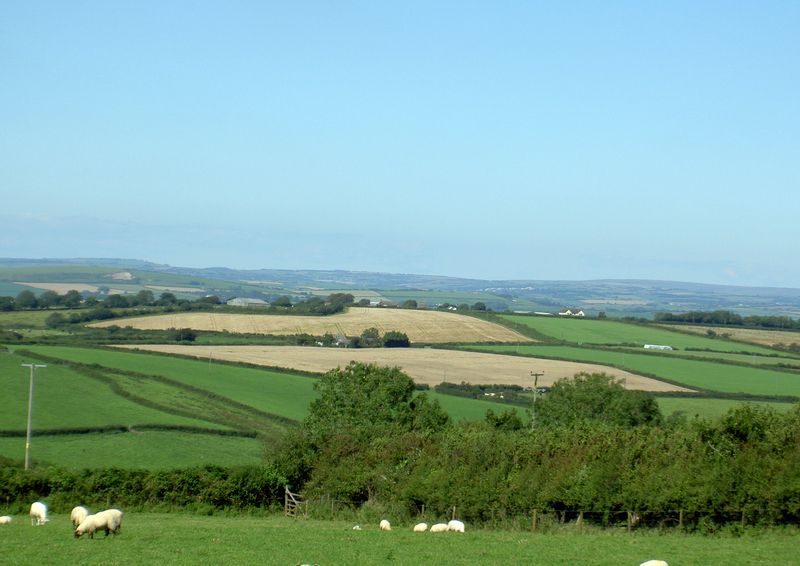 As the field is completely enclosed by good fencing, this is also a brilliant pitch for anyone with an energetic dog. 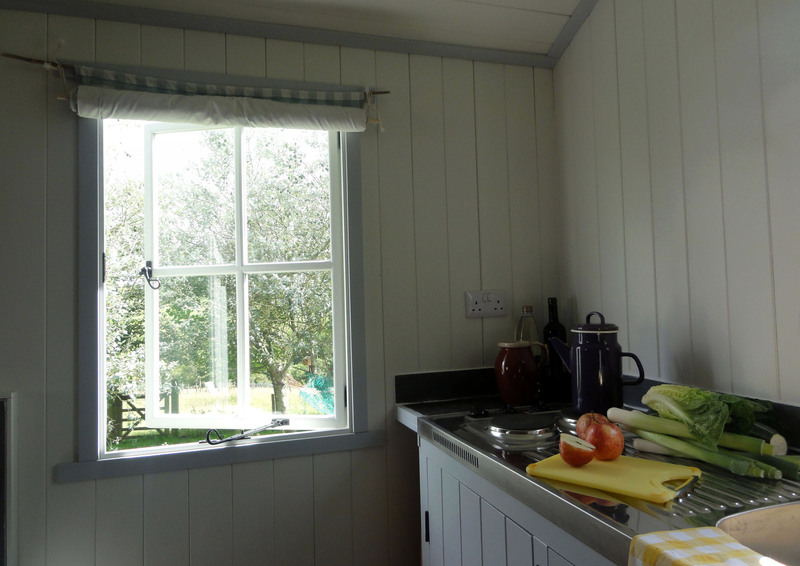 Or a family who would prefer to let their kids run wild in a fenced space away from the lake and nature ponds. 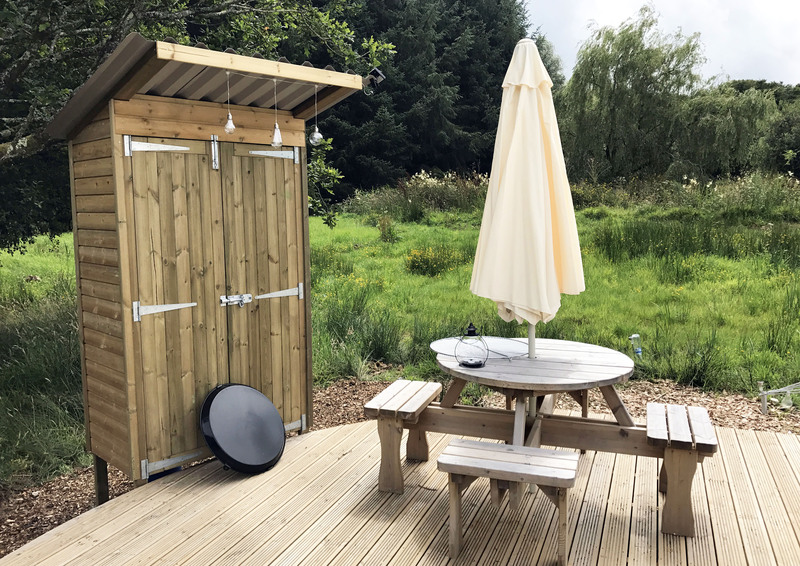 Hot showers can be found down in the shared facility in the main camping field.